The Pantasy Steel Band is one of the best Steel Bands in Europe. It plays Caribbean music and covers of UB40 & Bob Marley. 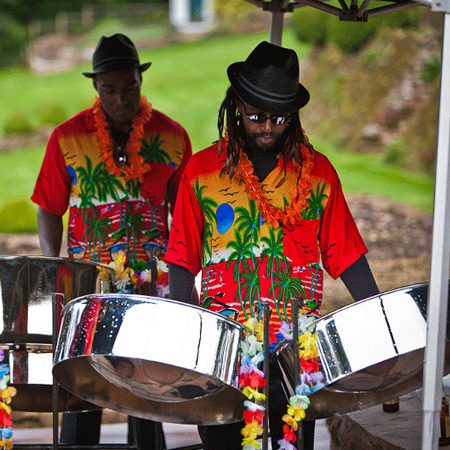 The Pantasy Steel Band will bring a traditional taste of the Caribbean to your event making a beautiful performance specially designed for your particular event! Wedding ceremonies, Birthday parties, Private events are gaining a very special spirit brought by professional musicians of Steel Band. Recognizable repertoire will make all your guests dance and sing together with the band! True Caribbean sounds and culture will bring summer mood to everyone regardless the season! The Pantasy Steel Band provides a full steel band orchestra and can make few variations of its structure from a duo right up to a 7 piece band. The Pantasy Steel Band’s musicians are originally from the Caribbean and currently based in the UK playing and teaching Caribbean music. The band is available for booking worldwide and is ready to perform at your occasion to make the most remarkable and outstanding event staggering with its incredible atmosphere and stunning performances!